Can you give a brief summary of what this project is about? 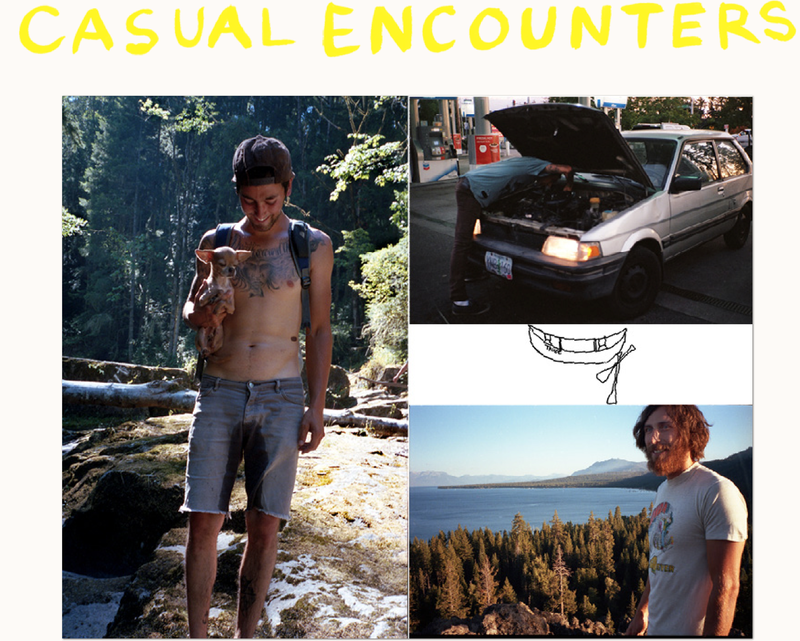 Last summer my friend Grady and I went on a month long trip from NorCal to Vancouver and back. We had loose plans, and although we had our BMX bikes and rode most days, I won’t call it a riding trip. We did what came naturally, and embraced most opportunities that came our way. We are both photographers, I shot what I wanted to remember, including people, landscapes and action, then wrote about how I remembered it, and put it together into a zine. I also had an art show in my hometown, Bethlehem, PA to showcase large photo prints from the zine, with inspiration from Hannae at Secret Art Space. The following week, I had another in Brooklyn, NY before I moved away and bought a sprinter van to travel in. Whats the story behind this zine, and what inspired you to do this? The experience of traveling the pacific northwest was life changing, not in a dramatic way, but in a realization other ways to live. I knew I wanted to share my experiences, and through out the trip I was brainstorming what to do with the images I was capturing. I don’t send my photos to magazines too often, and even when I do, I usually don’t feel like they quite fit in. I wanted to tell the complete story, with all of the photos that I felt help do that. Doing my own zine, I could be the photographer, writer, and editor, all in one. I also have been pretty dissatisfied with the internet lately, not to say there isn’t plenty of great content online, there is. I wanted this to be physical, more of a piece of art, rather than just a blog post or something like that. DIY is only way I really know how, so thats how I went about it, of course with the help of some great friends. What time span were most of these photos shot during, and what were you shooting with? All of the photos were shot in or around August of 2012. 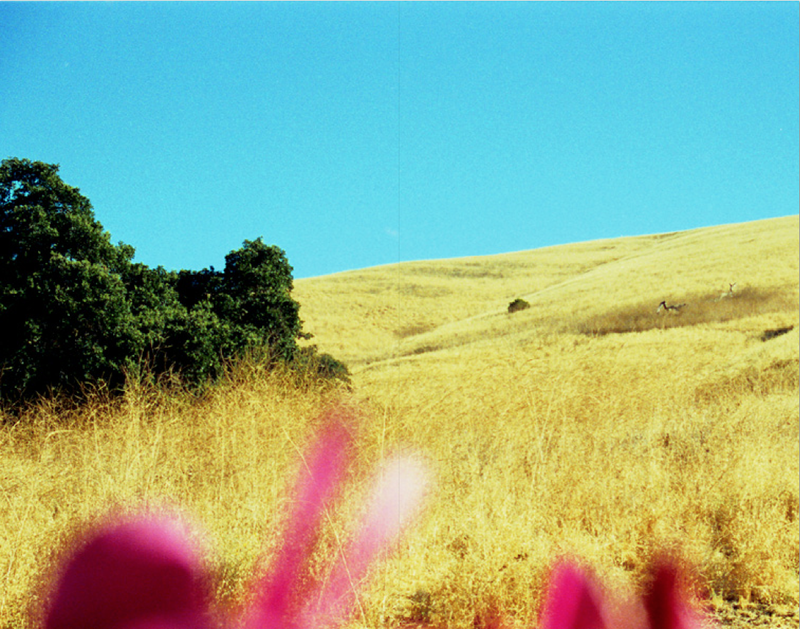 I shot them with a Nikon N90 and a Contax T2 with either Kodak or Fuji 400 speed film. How long did it take to make this a reality? 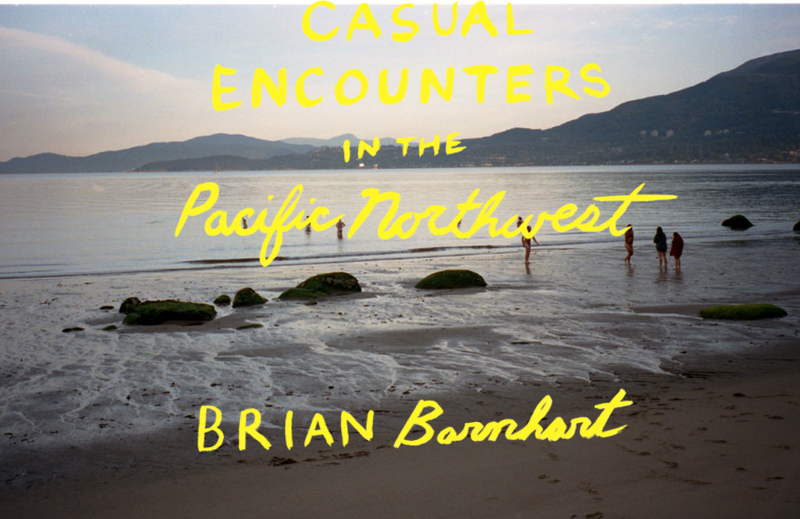 I originally released Casual Encounter in the Pacific Northwest at the art shows in December 2012. I was working a lot after the trip, and trying to figure out actually how to make it all come together. Scanning the film took a while. I laid the zine out pretty quickly, and my friend Chad Moore told me about a printer called Magcloud which worked out perfectly. The art shows came together in the matter of about two weeks, which was pretty rushed. I tend to procrastinate. I finally finished a website to promote it in late March ’13, thanks to Dave Ghandi Hall. All together making a zine and putting on my own art show was a great experience, I recommend it to anyone. What are some zines you have seen in recent times that have gotten you stoked? To be honest, I am not a zine collector, or a collector of much for that matter. Just wanting to do something with my art work, to complete a project with tangible results was the main motivator. I of course do draw inspiration from things I see and read. The Holeshot issues are one zine that comes to mind, and magazines like DIG, The Albion, Victory Journal, photo books like “The Bike Riders” by Danny Lyon, and “Jones Beach” by Joseph Szabo, books like “Into the Wild” and “On The Road” have been really inspiring to me. My friend Jon “Sinner” Lynn also made an imagery zine for a film he plans to make, which helped get me stoked on the idea of making this. Sinner also helped out with the hand drawn title, thanks. I also would recommend a zine called Bring on the Dancing Horses, which I read after making this. How can people find out more, and how can someone get a copy? You can visit Casual Encounters wed site or talk to me in person. 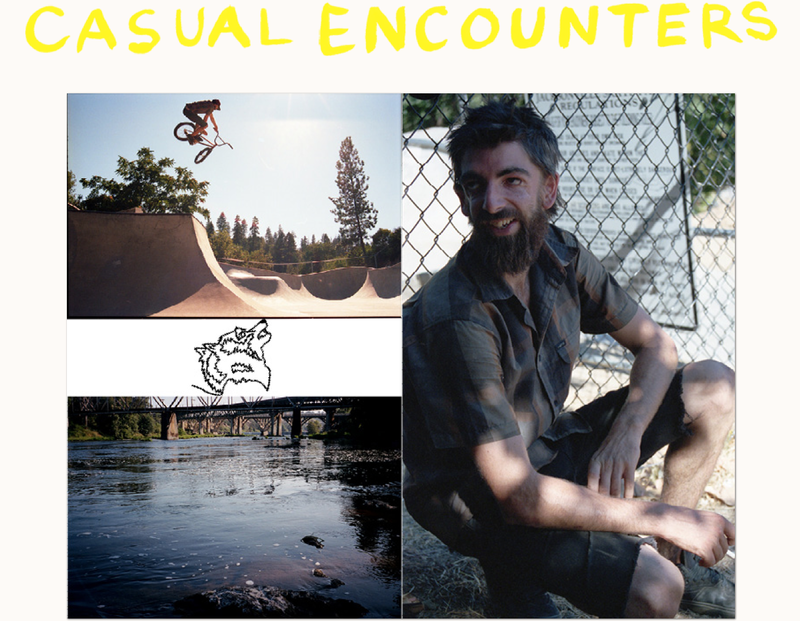 I’m going to begin the process of making another zine ASAP under the Casual Encounters title, and hopefully can also get together another art show. I’ll keep you posted. Thanks!